When you have more than 15 years of paddling and fishing like me, sometimes I want to cheat a little and let a motor do the work for me. Or maybe you might want to be efficient with your time on the water and do more fishing than paddling. You might be considering a motor. The problem is only a few brands offer a motor ready transom. So what do you do? You look for a motor mount. In my searches to outfit my Bonafide SS127 with an electric motor, I discovered a cool mount from YakGadget. 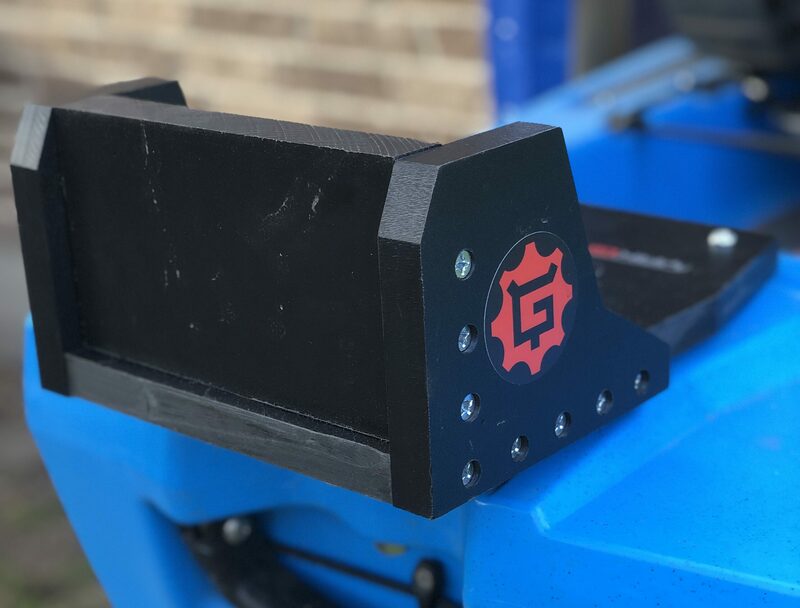 The YakGadget site offers a variety of mounts ready for several different kayaks and the best part is, the mounts, called Quick Mount MK or some variant depending on your needs, bolt on to holes that are already on your kayak. More specifically, they are made to mount where the Micro Power Pole screw inserts are embedded in your kayak hull. 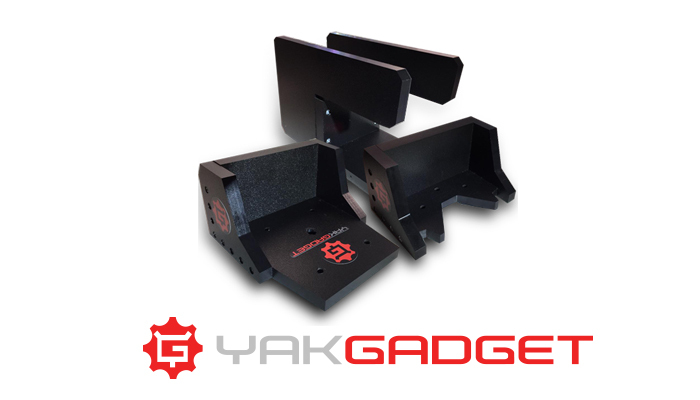 Many brands like Hobie, Bonafide, Jackson, Big Fish, Vibe, and others have insets that match up with the mounts from YakGadget. After talking with the folks at YakGadget I discovered the same mount that will fit my Bonafide will also fit my 2019 Hobie Outback. I bit the bullet and decided to get one. Below you’ll find the information from YakGadget and then my goods and points of improvement. Adding propulsion to your kayak just got really easy. Within 5 minutes, your mount can be installed and you’ll be ready to go out on the water. The QuickMount MK series was designed to be able to take a Minn Kota trolling motor from a big box store and mount it on your kayak within minutes. It is also designed to be removable for travel with easy setup. Using the included hardware, you can install your mount in under 5 minutes. Once the mount is installed, you can quickly install the motor using the transom mount that came with the motor. It is easily removed as well. 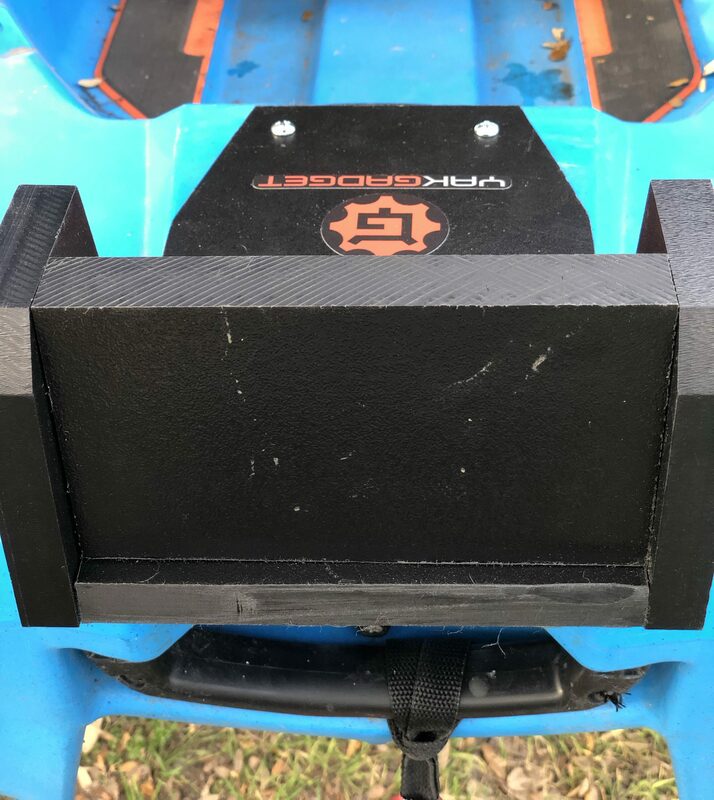 The StarBoard in the Quick Mount from YakGadget is an inch thick on the back plate and 3/4 of an inch thick on the sides and reinforced with hardware. Made with 3/4 inch and 1-inch StarBoard HDPE, our QuickMount is super strong and is resistant to warping, scratches, and fading. 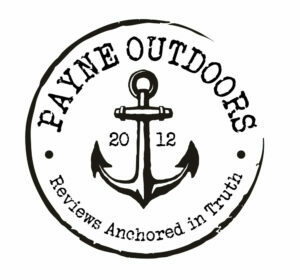 We have 3 types of mounts designed to fit different models of kayaks. The particular mount I tested is an XL version of the Quick Mount MK. This allows it to extend further back on the kayak to allow proper mounting of your motor and utilized the rudder post hole on my Bonafide as an additional reinforcement point. The mount is absolutely rugged. It’s reinforced and once mounted is firm enough you could use it as a lift point it’s so stout. I really wanted to try to overwork the mount so instead of mounting a transom mount trolling motor, I used a 3HP equivalent Torqeedo outboard electric motor. If anything would cause the mount to fail (while still being safe in the kayak) this would do it. Here is a video of me testing the mount with that motor. The design of each of these mounts is specific to the kayaks and how they have bolt inserts already embedded so you shouldn’t have to drill any holes in your kayak. That’s another big plus. And in case the video doesn’t prove it to you, I’ll say it again, this is a really strong mount. You aren’t going to bend it with motor torque or banging into trees or rocks. It’s StarBoard, and a lot of it. Reinforced sides that would make a riveter proud. In something simple like a mount, there isn’t just a ton that can change since its function is relatively simple. I did give the owner one suggestion however and he’s already considering it for future models. Sometimes in the kayak manufacturing process, there can be small variances in spaces between bolts. They don’t always hit dead center and can have a variable distance sometimes 1/4″ off which can cause an issue if you are lining up your bolt holes. My suggestion was to offer an oval bolt hole to account for these variances and then for consumers to use a washer to avoid slippage. As the mount comes now, the bolt holes are drilled to precise bolt size which may need a slight mod if the kayak the owner is mounting it on has a variance. It’s a simple mod but if YakGadget will include this option it’ll be even better. 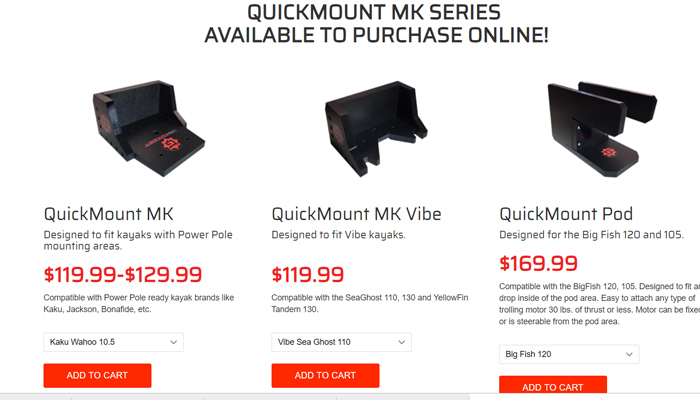 The YakGadget motor mounts ( all varieties of the Quick Mount MK series) are about half the price of the other motor mounts currently out there and have fewer points of failure. 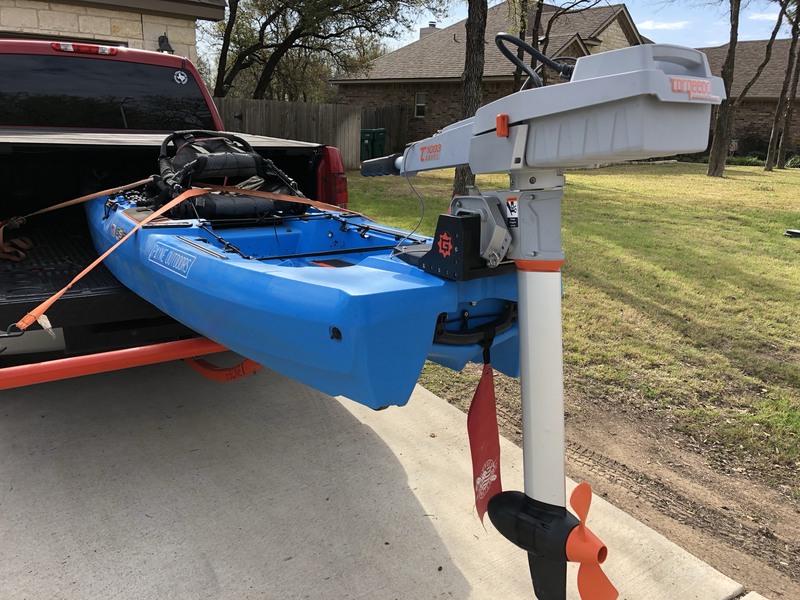 This is the perfect option for someone who wants to motorize a kayak and do so for about $300, mount, motor, and battery. This is not to say that the others aren’t good mounts, it’s just to say that this is a great option for folks needing a simple solution and don’t want to DIY a mount. If I am going to test it, I am going to try to stress test it!